Stikky Media’s PPC experts can manage your campaigns more efficiently and help you achieve your marketing goals. Our technicians will work to immediately drive quality traffic to your website. As your campaign matures, their efforts will reduce monthly spending and increase click volume. This will result in a lower cost per click and increase visitor impressions. Improved click-through rates and a reduced cost per click will increase quality scores and improve conversion rates on landing pages. In addition, local advertising is rapidly becoming one of the most significant opportunities for brand recognition and market penetration. Our team of local marketing experts can help you design a campaign that measures essential indicators like local visitors and cost per acquisition (also known as CPA). Thanks to everyone at Stikky for the enthusiasm and stick-to-itiveness they showed in getting the Sonar Moment up and running. We are a go! And a great big hug goes to Michèle for getting everything done! Yeah Michèle! Keywords are the search phrases that people type or speak into search engines. Search engines like Google qualify keywords in a way that other marketing tools can’t. Knowing how people search provides powerful insights into their intentions, making search engines better at conversion than most other forms of marketing. The digital landscape has changed; new businesses can now quickly level the playing field with a paid search. You don’t need a customer list or even much of an online marketing strategy, you can simply pay for quality traffic. Paid search budgets are flexible and can be adjusted daily, which means there are no shocks when it comes to balancing the books at the end of the month. Not all Paid Search campaigns are created equal. The better a campaign is set up, the less Google charges, which means more customers can be delivered for the same dollar. For immediate success, it’s essential to talk with an expert professional. A well-structured campaign attracts quality customers and produces the best return on investment. 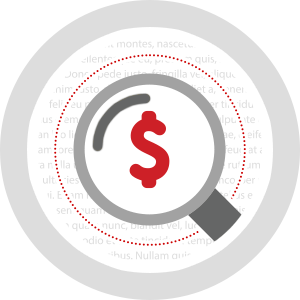 All of our paid search services are flexible and tailored to your company’s needs. Whether you are a starting a brand new campaign or need a one-time overhaul of an existing one, we will start you off on the right foot.